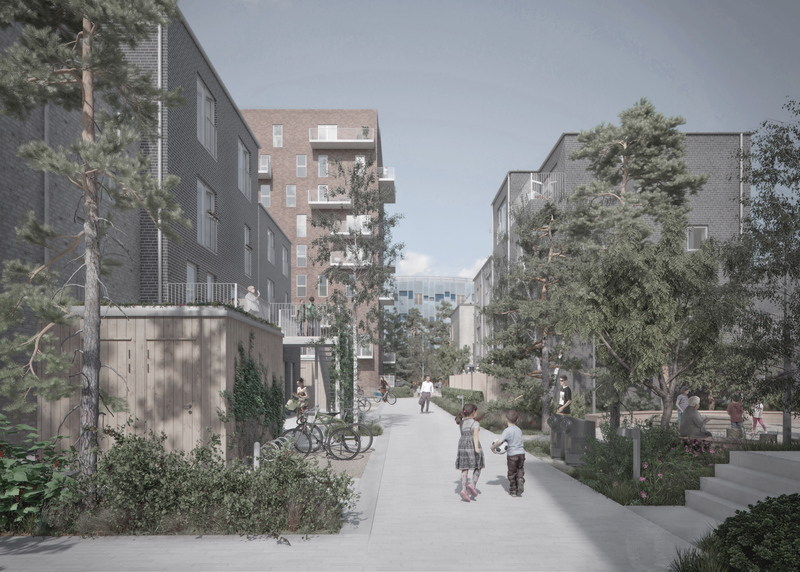 Our vision for Skovkvarteret II is to create a green and sustainable quarter. A neighbourhood, where the good life exists between the trees, and where accessibility is ensured for all houses. Skovkvarteret II lies on the edge of Ørestad South, towards Amager Fælled. 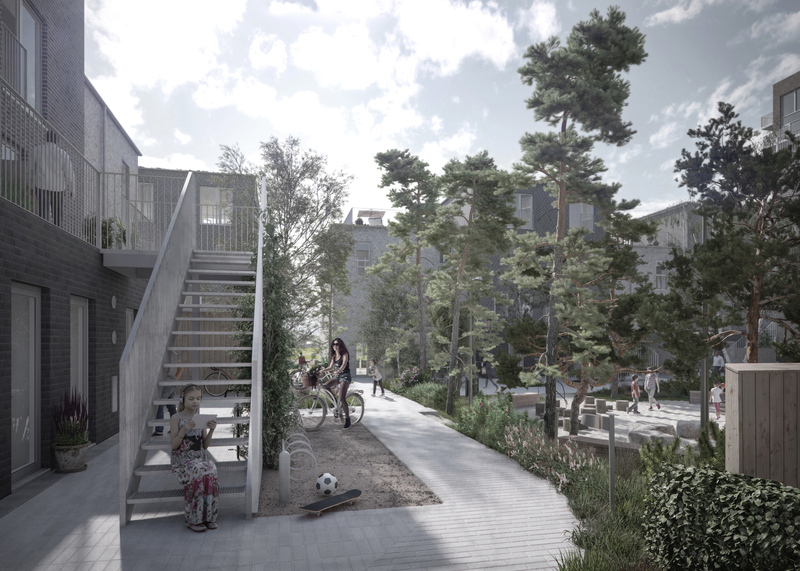 A neighbourhood with a focus on the interplay between the natural terrain from Amager Fælled, and the landscape which is created between the homes. This is achieved by our landscape strategy in which vigorous scenery and the characteristic planting are brought into the neighbourhood. In Skovkvarteret, all surface water is handled separately, just like in the rest of Ørestad and it is our aim to use this principle as a landscape feature in the development, turning this environmental challenge into an asset for the landscaping. The area consists of a varied housing, consisting of row houses and tower buildings, placed at a unique location in relation to the landscape and the forest. The design and composition of the four housing typologies, of which the facades are made from brick, create a varied and unexpected urban structure. 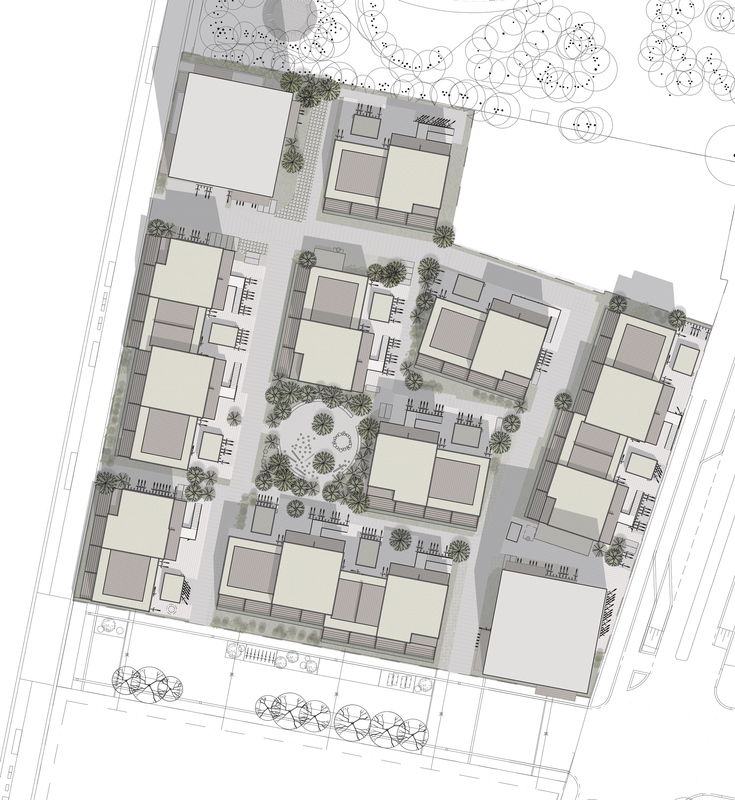 Utilising much of the roofed areas for terraces creates life on all levels of our proposals. The space between the buildings creates a restful and neighbourly atmosphere, encouraging get-togethers and socialising. Here, children and their parents meet up, neighbours catch up and the many green corners and nooks make the residents feel at home in a green and natural environment. All in all, a good residential life with the best qualities from the city and natural landscape is combined in one environment.